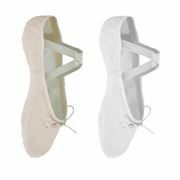 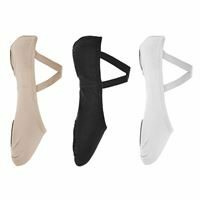 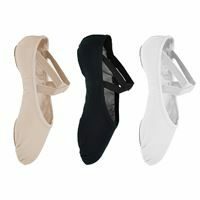 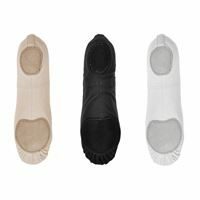 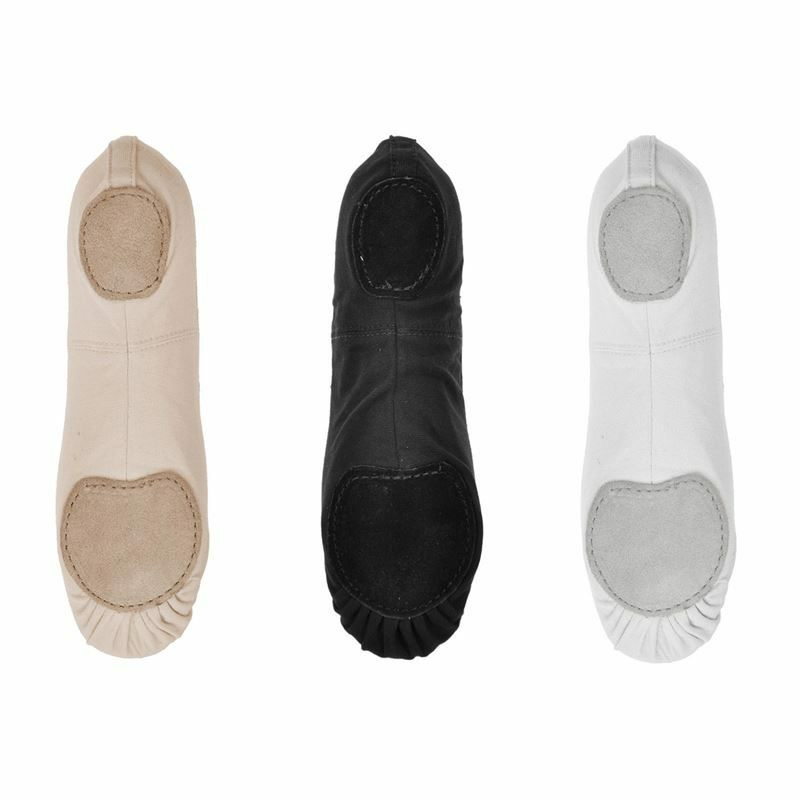 Fully elasticized split sole canvas ballet shoe. 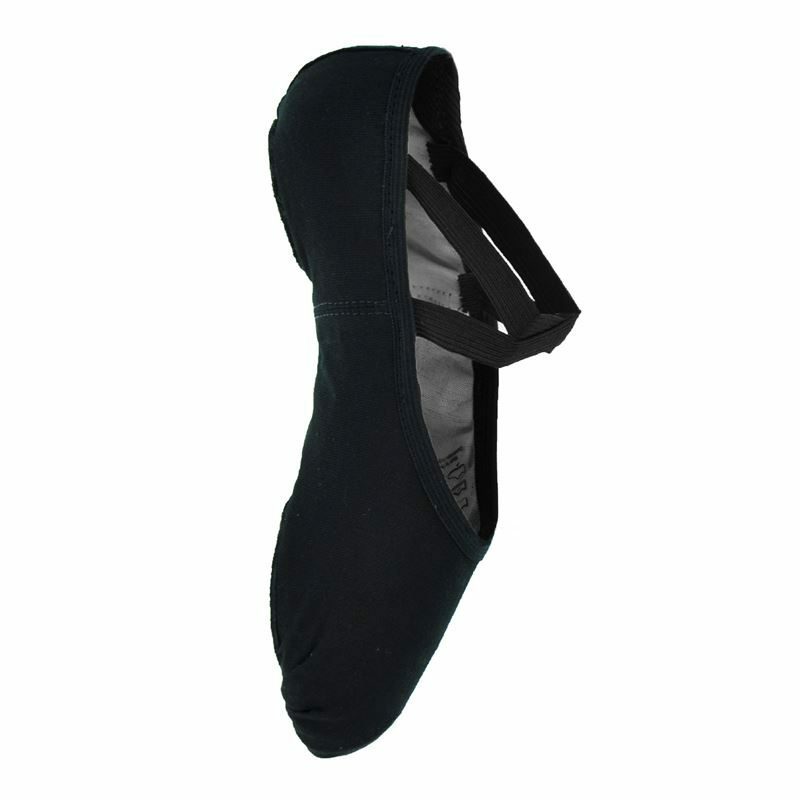 Amazing adherence to the foot, contouring the arch and toes perfectly. 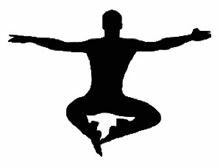 Elastic binding replaces both drawstring and casing. 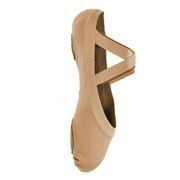 VAT starts at UK size 6.